Growing an email list can be a slow and painful process. So what tactics can marketers use to build an email list, without all the headaches? That’s the very question I put 17 email marketing superheros and fellow “influencers”. They kindly responded with high-level advice, real-world online and offline tactics, as well as a few thought-provoking strategies. There are no shortcuts to building a large qualitative list of subscribers, so I would recommend these businesses to focus on converting as many web visitors to subscribers as possible. Make sure the sign-up form is prominently placed on all your web pages. Make the form stand out visually, and “sell” the newsletter to potential subscribers: what’s in it for them? An email marketing company can help you develop and “sell” your email newsletter. Also think about offering a relevant incentive for signing-up. Once you have all that set up and tested (to make sure that you’re converting as many web visitors as possible), focus on driving traffic to your sign-up page through all possible channels (SEO, PR, PPC, social media, offline etc). I’m also a big fan of using simple contests to build up email databases. Make sure to announce the winner to the registrants in an email communication – builds credibility. Use Social Proof: people are influenced by others like them. If you show that you have a considerable amount of people subscribing to your newsletter it act as an endorsement and lends credibility. The logic is the more people taking this act the more correct the action is. Add Forward Link and Share Buttons: a really great way to grow your list is to allow people to share your email with others. This adds a more social component to your email which increases the possibility of you message going viral and growing your database. Businesses may benefit from asking their existing contacts to refer people they know. Include an incentive for both sender and recipient, then provide a way for recipients to spread your message (via forwarding, social channels, etc.). Many businesses are surprised by the amount of referral activity they can generate if they just take the time to ask. A tactic that worked well for was a lightbox that displays every 7 days. Once we installed the Lightbox our subscription numbers grew by over 400% week over week. Even now, 6 months later the numbers from the lightbox are still very strong. Our clients are using LiveIntent to run signup ads in other newsletters. Since email newsletter readers are the most likely people to sign up for email newsletters, it makes sense to advertise in contextually (topic) relevant newsletters to attract new signups. I think it is by far the most effective method out there. More effective for new recruits than putting a box on your own site, since it attracts people who may not already know about you and your brand. One tactic I have used with mixed results was to use PPC Ads via AdWords with an email registration on the landing page for email newsletters. Depending on the audience this may or may not work, and would need to be tested. The best advice about list growth I have ever received was from Stephanie Miller, who told me, email opt-in should be easy, compelling and everywhere. We’ve found success in driving email subscribes by combining Blogger Outreach with Facebook Contests powered by a Facebook Tab engine we build. When we launched EmailDirect we started by working with a lot of local companies (mainly restaurants) to introduce email marketing as part of their marketing plan. This forced us to learn very quickly how to grow a subscriber list without web traffic (most local restaurants didn’t have a ton of web traffic in 2005, if any). Text your email address to XYSExample to opt-in. On each table have a card holder w/cards (size of a biz card) where people can subscribe and turn it in with their bill. A blank sign-up card inserted in the credit card pouch of the black leather bill books that goes out to each guest. Raffle bowls at the hostess desk for people to drop their business card or fill out a sign up card to be entered into a monthly (weekly, quarterly) give away. Add a line of text to the bottom of your receipts that encourages customers to write their email address on the receipt. Update on-hold messages to promote the email newsletter. Add a link to all managers outgoing email that asks for people to sign up for their newsletter. MOST IMPORTANTLY – Train your staff (servers, hostess, and bartenders) to talk about the eclub. A server should ask every group they serve throughout their shift if they are members of their eclub…it should become as natural as telling them the specials of the day! Prize drawing – everyone who enters gets a chance to win something with disclosure they’ll be subscribed to the email list. This is the typical “door prize” kind of promotion. Voluntary – invite people to join the list via physical sign-up form, biz card sign-up form, or similar. Helps to exchange value for their subscription, such as free content, free consult, or even a free book if you have on. Exclusivity – same idea as above but you ONLY get whatever the freebie or special treatment or contest entry is if you sign-up for the list. Especially if it’s an exclusive to the event. Wherever they are paying for a service or checking-out, have flyers or cards offering an exclusive for joining the email list. Great for businesses with a physical/store presence. I’m seeing so much more of this in small and fast-food restaurants, both national chain and local places. Even at a high-end restaurants like the one in Trump Tower in Chicago a tasteful business card list sign-up request was returned to me with my bill. I think many of the other offline methods I’d normally use and recommend were already covered by Kristine. In general offline is easy to overlook for services or web-centric businesses but can still work wonders to produce quality and quantity. The most important thing I’d recommend to new businesses that want to build an email list is this: YOUR WEBSITE IS NOT THE CENTER OF THE UNIVERSE. In the old days, people had to wait until they got home and were in front of their computer to sign up for your email list. But in today’s hyper-connected mobile world marked by extreme media fragmentation and corresponding consumer Digital ADD, you have to make it quick and easy for people to sign up where they are, when they are there, and when they are in a moment of engagement. Make it possible for people to text to opt-in, and print instructions for doing so EVERYWHERE: on in-store posters, in print ads, during TV commercials. If you’re already spending money on those media, make the most out of it by promoting email sign up and long-term engagement. 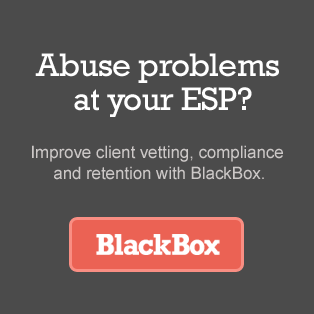 Put an opt-in widget on your social media site homepages. Make your social presence rock, and compel people to sign up while they are checking you out. Gear online and mobile advertising spending towards actual opt-in solicitation. Banner ads and sponsored links are cheap for a reason: people don’t click on them and then marketer’s don’t get any value out of them. There are higher value advertising platforms on the market today [full disclosure: like ours at Pontiflex] that enable people to opt-in within ads itself, without having to pop out of the websites or mobile apps they are using. In the end, what I’m driving at is simple — why force a person to take multiple steps to do something that they want to do, if there are ways for them to do it with just one? This will increasingly impact all facets of digital marketing – starting with acquisition but extending through the entire customer lifecycle. It comes down to two words: Ask everywhere. Any time you come in contact with a customer, whether it’s in person, on the phone, on a sales receipt, at a trade show or networking event, on your website and/or blog, on social media, etc. etc., you should ask if the person wants to hear from you via email, and if so, if he wants to join your list. Be sure to tell this person what benefits there are if he signs up, so he doesn’t think you’re just collecting email addresses for no good reason. And then make it easy for all subscribers to share your messages so other people will see the benefits you offer and will sign up as well. In my experience most companies don’t think the sign-up flow through very well. So they end up with a clunky process that is a bit hard to complete. The trick is to get the most out of the interaction during the sign-up. Or it might be the last time you had any interaction with that subscriber. Always give people a Next Best Thing to do. So after they subscribed, ask for some more preferences on the thank you page. Show them a way to shop easier. Give them a top 10 of blog posts to read. Send them a personalized offer; it doesn’t have to be a discount. A good practice in B2B and luxury consumer products is to rank your new subscribers, ask them if they are interested in buying now over three months or just browsing. This is called lead scoring and it impacts greatly on the effectiveness of your sales force and follow-up program. Having a high unsubscribe rate through sending too many repetitive, untargeted emails will undermine any list-building process. Concentrate on identifying the causes of unsubscribes first. You need to take action if you have more than half a percent of your list dropping out through unsubscribes or feedback loop processes. Consider the time and costs involved in getting these people into your list. How much of that is being wasted through unnecessary unsusbcribes. Support list growth strategies by reducing list attrition through more relevant, targeted and higher-value emails. Plan your marketing before you start collecting email addresses. Too many companies start to collect email addresses and have no plan to use them. Have all your emails, templates and processes in place before you collect your first email address. Plan a campaign that starts with a welcome message. Welcome your new subscribers to your list within 24 hours of getting their email address. Use that welcome message to set the users’ expectations for future mails. Remind them to add the from: address to their address books. When planning address collection, think about how you will handle people giving you addresses that don’t belong to them. Often this is an error (typos in forms, poor writing, etc) on the part of the permission giver. Some of these are deliberate (I can give you an address that doesn’t belong to me, get your incentive and not have to deal with your email). In both cases, they end up with mail going to recipients who never actually asked for your mail. Create a process that minimizes the mistakes your users can make. Protect your address list from poor signups. Along with many of the points above I think the following is worthy of note. Think of it as getting people to engage with your organization through the email channel will produce much better results than approaching it as “building a list”. This will mean actually allowing people to reply to the emails you send – and having a person respond or take action on those replies. Engage implies dialogue, a 2-way conversation. Tactics are tactics…somewhat easy to pull off and conceptualize. What I am more interested in is building out cohesive acquisition strategies tied to channel performance and unique on-boarding experiences by channel. Tactics come only after this is done…hence my thinking that tactics are somewhat easy. I think what email marketers tend to do is focus on tactics first without giving any real thought to a full blow acquisition strategy with assigned and measurable tactics tied to ROI. Acquisition is like having a party…first you clean your house (website, experience flow) then once people show up to your door you show them around and get them to want to come back again and again. How many times have anyone one of us sat in a meeting only to hear Mrs. CMO or Joe President just say “look…we just need email address….what can we do”….and without hesitation we go off and build out a deck or ideas on tactics without really trying to pull back the reins on building a playbook rather than build out the season’s game plan. About the Author: Howdy! I’m Scott Hardigree, CEO at full service email marketing agency Indiemark and curator of Email Critic. 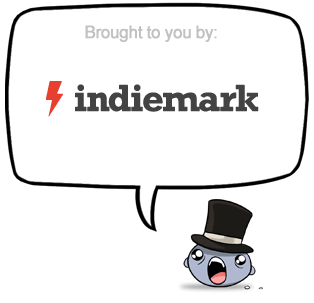 I can be reached at scott@indiemark.com or @indiescott. I agree with many points above. Offering an incentive can go a long way to growing your list. It is so important to make the on-boarding experience (post-signup) a positive one that offers value and truly makes the subscriber feel a part of the community. Without this you can almost be certain that person will become unengaged sooner than later. I couldn’t agree more. Thanks for adding to the discussion Greg. We also found that sending folks an email at least 24 hours after the event with a call to action resulted in a donation or followup by a higher percentage that someone who signed up to our website.